As jurisdictions in the United States and around the world begin to repeal aspects of cannabis prohibition, the emerging businesses and production facilities have begun to introduce a higher standard for cannabis derivative products. Testing laboratories have the ability to isolate and reject contaminants and meet requirements for maximum standard doses (per single serving) for edibles. Producers and manufacturers are striving to ensure cannabis users have access to clean concentrates, as well as the proper tools to safely make their own. 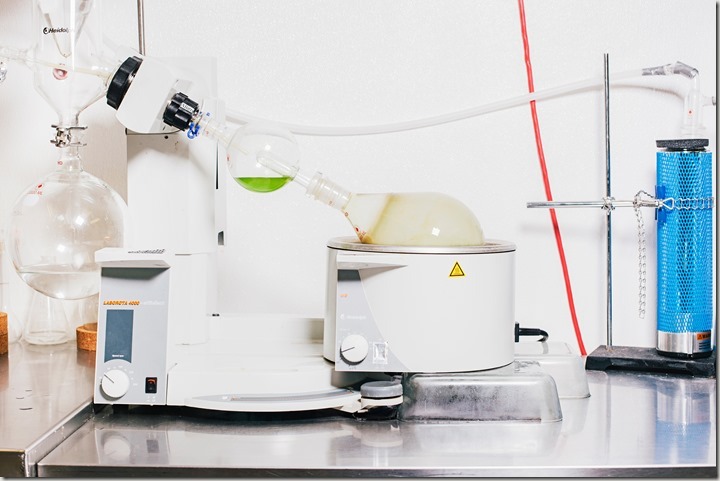 Companies like Top Shelf and Pink House, who supply extracts to dispensaries in Colorado, have the facilities to explore and develop the extraction process in greater detail. They use tools like a sonicator to break open the trichomes and a vortexer to stir the compounds in the solution to evenly distribute the cannabinoids. They “winterize” the extraction by keeping it at very low temperatures to isolate residual waxes that make up the shell of the resin glands. 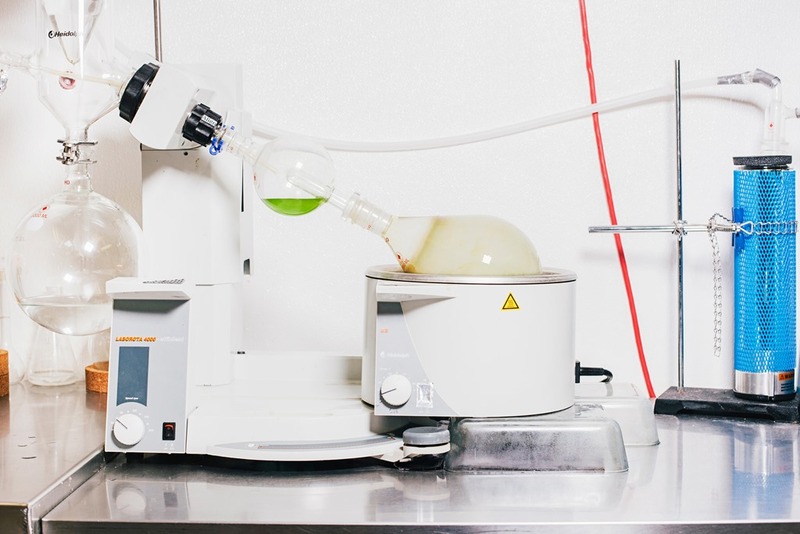 They use tools such as a rotary evaporator (above image) to purge the product of residual solvent. After removing all of the unwanted non-cannabinoid material, you are left with a hard glassy amber substance that melts into a resinous oil. The modern phenomenon of dabbing involves plucking a dab of this oil with a pin, or nail, and placing it on a heated plate on an often elaborate piece of glassware, sometimes called an “oil rig” or “dab rig” which resembles a bong. New extraction methods are emerging at a steady rate, quickly being shared, tested and reviewed across the internet. You may here terms like shatter, budder, wax, BHO, RSO or rosin applied to similar concentrated cannabis products that undergo slightly different processes to extract the precious resin from the crude plant material. During growth, the resin forms predominantly on the upper parts of the plant, closest to the light, and is distributed unevenly among the flowers and leaves. This means that the dried buds you receive may differ slightly, as they originated from higher or lower branches. Prairie Plant Systems, who were the government’s licensed producer in Canada before the MMPR, were criticized for blending/milling their dried cannabis into a powder. They did this to evenly distribute and test for cannabinoids, keeping a mean THC level of around 12 percent. The same idea of standardization is applicable to extracts, as the medicine can be blended into a more homogenous form. Patients have reported more consistent doses with extracts than with dried bud. 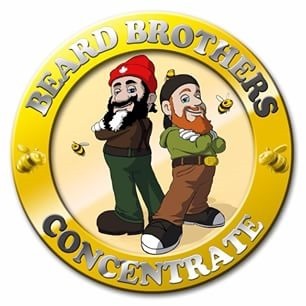 When using a concentrate, little is needed to achieve a desired effect. When making edible products, a measured amount of concentrated extract can be mixed into a recipe, providing more consistent, long-lasting doses. Dispensaries provide extract products of varying strengths and with effects that are suited to each individual’s needs. Over the past few years the Vancouver Island based Beard Bros. have followed the trails blazed by extract producers in the United States. They now supply Canadian dispensaries including the Victoria Cannabis Buyer Club. The Bros. co-sponsored the Extract Express that brought a bus load of advocates from around Ontario to Ottawa for the Supreme Court of Canada extract hearing this past march. They held a number of monthly events to raise funds and awareness about my legal battle to permit extracts for medical cannabis patients in Canada. I interviewed Scotty and Brad from the Beard Bros (on Time4Hemp radio) who spoke about their passion for making clean, standardized cannabis extracts for medicinal use.